Jackpotcity.com welcomes players in search of the Las Vegas experience within a safe, regulated and friendly setting. Created in 1998, the UK owned establishment may be considered both a pioneer and veteran in the virtual betting industry and continues to delight fans from all over the globe with its eclectic combination of classic table games and slots which are all powered by the leading gaming software developer, Microgaming. 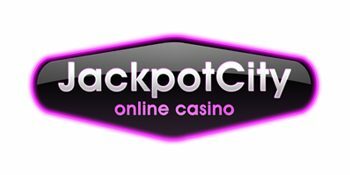 Jackpotcity.com is owned by Digimedia Limited and is licensed by the Government of Malta which is renowned for upholding its license holders to high standards. Its website is glitzy and provides clients with a touch of glamour found in the most stylish gambling establishments all over the world. It is also multilingual and features no less than 14 languages with downloadable games featuring even more, and players are bound to feel welcome with the friendly tone in which information is presented on the website. Visitors to Jackpotcity.com will discover an extensive selection of games. French), single and multi-hand Video Poker, Craps and Keno. Fans of slots will be delighted at the abundance of choice with over 300 of such games available. They will be able to enjoy classic slots, video slots, megaspin slots, fruit slots and progressive slots. Jackpotcity.com’s games are all created by the betting software giant Microgaming and support Windows, Mac and mobile phone users. Visitors to the casino may opt to play directly in the browser although this option only provides access to 200 games. Downloading the casino’s software however, provides full access to the entire games catalogue and free daily online blackjack and slots tournaments as well as a selection of additional benefits. Jackpotcity.com offers new clients a 100% Welcome Bonus of up to £200 as well as a 100% Second Deposit Bonus of up to £300. Players are rewarded for their loyalty to the site and will receive regular midweek and weekend percentage match bonuses based on their level of activity in previous weeks. In addition to the generous bonuses mentioned above, registered players also have the opportunity to win a variety of prizes (including cash, casino credits and free spins, gadgets, 5-star cruises and holidays in exotic and exciting locations) through participating in daily, weekly and monthly promotions. The Government of Malta which is the licensor of Jackpotcity.com is renowned for its thorough vetting process and strict requirements which all licensees are obliged to abide by. Visitors to the website can therefore be assured of its legitimacy and hence of their safety. Clients also have the opportunity to seek redress from the regulatory body in the event of failing to reach a satisfactory conclusion with the casino. Visitors to Jackpotcity.com can be assured that they are visiting a website which is legal and totally secure. Jackpotcity.com is an eCOGRA approved website and has received the award from the independent regulatory body dedicated to maintaining the integrity and security of virtual gaming. The casino is also a partner of Data cash which provides expert means of protecting client information using the latest technology. Jackpotcity.com also employs the use of a Random Number Generator to ensure the integrity of gaming results. Jackpotcity.com accepts clients from the United Kingdom (since news regulations came into place players from the UK are no longer accepted and should visit their sister site: Spin Casino), Australia, Bulgaria, Canada, Finland, France, Germany, Greece, Hungary, Italy, Japan, Latin America, the Netherlands, Norway, Poland, Portugal, Spain and Sweden. Jackpotcity.com’s members’ area is designed to place everything new players require within reach and access to the different game categories, promotions and special features are readily available. Clients can also access payment areas to top up deposits or use rewards and also make use of customer support facilities in order to resolve any queries they may have. (available to players worldwide; withdrawals are processed between 2-6 business days in the UK). (available to players worldwide; withdrawals are processed between 2-6 business days). Neteller (unavailable to players from the Canada or Turkey; withdrawals are processed between 24 – 48 hours). Skrill (unavailable to players from Turkey, Israel, China and Canada; withdrawals are processed between 24 – 48 hours). Additional information on the full range of payment methods may be found by visiting http://jackpotcity.com/about-us/. Jackpotcity.com issues loyalty points to players for every bet wagered. Once a sufficient number of points have been accumulated they can converted into cash. This ensures that loyal and active clients are adequately rewarded for being dedicated casino game fans. Clients who have attained VIP status can expect free spins, credits and bonuses in addition to exclusive promotions. They can also request the personal assistance of the hosts at any time of the day. Recipients of Jackpotcity.com’s sign-up Bonus are permitted to withdraw 6 times their first deposit amount as their maximum withdrawal amount; any remaining balance will be forfeited. Jackpotcity.com may pay poker and casino players in British Pounds or Euros even though they may have placed a bet or have registered their account in a different currency. Players will liable for a detailed game and play review if they make any withdrawals that are 5 times or more than their lifetime deposits and will only be able to withdraw €4,000 per week. Players who wish to forward any complaints or enquiries to Jackpotcity.com can do so via live chat which is available 24 hours daily and 7 days a week. They will be required to provide their first and last name, email address and casino account number following which a customer services agent would then discuss the issue and attempt to have it resolved as soon as possible. Jackpotcity.com has catered to clients since 1998 and hence possesses extensive experience in predicting trends and managing the expectations of its clients effectively. Its friendly welcoming approach and the games which have been tailored specifically for its target audience have proven highly effective. Its wagering requirements however are quite high and may serve as a possible drawback in attracting customers. Jackpotcity.com is a casino with a truly global reach. It welcomes clients from Europe, Canada, the Americas and Asia and has ensured that its websites and games are multilingual in order to cater to its vast client base: an important factor in attracting clients. Players are also likely to be attracted to its loyalty scheme and generous bonuses as well as its dedication to transparency and customer security.